When people talk about o-Sensei, they typically talk about the postwar period: most of the teachers who learnt with him did so during that period. The post-war narrative is also nicer: the old teacher who retired in a farmhouse in the country-side teaching a martial art of energy and love with some bit of mystical philosophy. As I already mentioned in my review of The Shambhala Guide to Aikidō, the pre-war period is much more contrasted: the art practiced by Ueshiba was rougher, taught to the military élite of the country, and he was involved in a sect which was accused of lèse-majesté, i.e. claiming to be better than the emperor. I hoped that Aikidō Pioneers – Prewar Era, by Stanley Pranin would help me understand that period more. The book is a sequence of interviews done with various people who were involved in aikidō before the war. Some famous, like Kisshomaru Ueshiba, the son of Morihei Ueshiba or Gozo Shioda, who founded Yoshinkan aikidō (the aikidō style referenced in Angry White Pyjamas), others like Takako Kunigoshi, unknown to me, who stopped training in aikidō. The interview center around training, the character of o-sensei, and Sōkaku Takeda, o-sensei’s teacher. While it is interesting to get a perspective of people learning aikidō at that time, a large part of the interview is just the head of various faction pushing their vision of aikidō forward: Kanshu Sunadomari the relationship with Ōmoto-kyō, Koichi Tohei the importance of ki (ki-aikidō), Kisshomaru Ueshiba pushing for the unity and the strength of aikikai, berating twice Kenji Tomiki for using the name aikidō in his art. I found the interviews of the lesser known people much more interesting, like Yoshio Sugino who did the fight choreographies for Akira Kurosawa. Of course, there is also a good dose of old people complaining about younger generations. While o-Sensei lived 86 years, most of the interviewee interacted with o-sensei between 1920 and 1950, many things that happened during this period cannot be talked around seriously in an interview: the two Ōmoto incidents, the occupation of Manchuria, the involvement with the military, the war itself, and it seems everybody feared and avoided Sōkaku Takeda. Still these indirect testimonies paint a picture that confirms what a read elsewhere: aikido was only taught to a closed circle, with strong ties to the military. What I found interesting is that sword techniques were not common in these days. It also seems that many other ideas were circulating in these circles in those days, many people in particular complain about the brown rice mania of Futaki Sensei. It also seems that the Ōmoto-kyō religious movement sanctified Ludwik Lazarus Zamenhof for creating Esperanto. 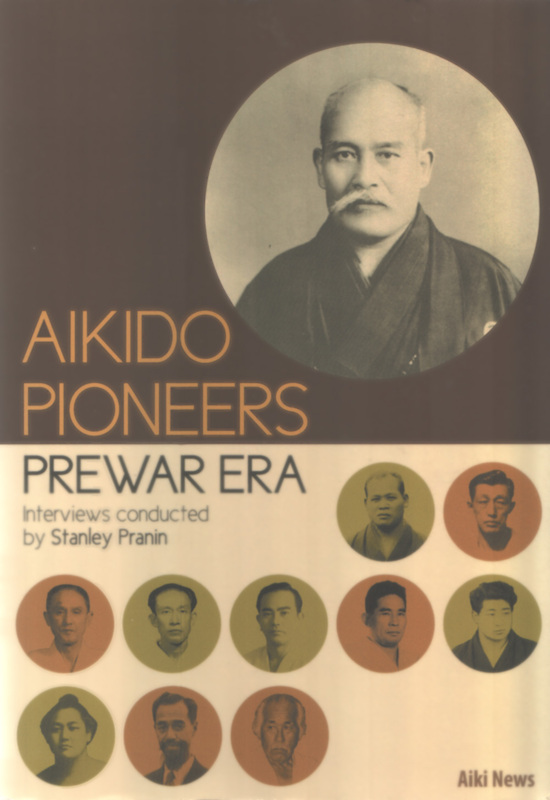 All in all Aikidō Pioneers – Prewar Era does not contain many information you could not get elsewhere, and some of the interviews are really rambling. It could still be worth reading if you are really passionate about aikidō. This entry was posted in Books, English and tagged Aikidō, Espéranto.